On February 16th, more than 60 years ago, Don Taylor established Taylormotive. Don had been in the automotive industry for 10 years, when he decided to open his own auto repair and service shop. Don always felt that if a shop was honest, had talented technicians and offered quality workmanship along with trustworthy service, that it would be successful. The idea of a shop with the above qualities was presented to a few of his friends, who were currently working in the industry, and all said they would jump at the chance to work for such a company. Don went ahead and rented a suitable shop at 235 Pemberton Avenue and incorporated Taylormotive. Before opening the business, he was able to hire three of his pals from the industry who were excited with a new development. The men that came to work for Taylormotive were: Barry Newton, a master automatic transmission and mechanical technician from Colliers GM, Bob Crawford, as well as Hans Kretz a truck body fabricator and upholsterer from a Vancouver truck body fabrication shop. When Taylormotive opened for business, a steady flow of customers came in from the North Shore and the greater Vancouver area including service stations and fleets. The talents and services Taylormotive offered allowed us to build great customer relations, which allowed us to grow rapidly, and hire more technicians the first year. Because of growth and demand for our services, in 1976 we moved our mechanical division into a new shop at 176 Pemberton allowing us to offer 40+ mechanical, collision repair and paint bays between the two shops. Taylormotive has received many service awards and has enjoyed great customer appreciation for over 60 years. Having received ProFirst Honda and Acura Certification and I-Car Gold Certification in 2015. June 2017 we are Certified Collision Care for Chrysler, Dodge, Ram, Jeep, Fiat, Ford, Kia and Nissan. July 2017 we are Certified with ARA Collision Repair Plus Gold Shop and Canadian Collision Industry Accreditation Program CCIAP. Taylormotive has 27+ employees, with Michael as the Collision Division Manager and Charles Taylor as President C.E.O. General Manager, as well as managing the Mechanical Division. Taylormotive appreciates all of our customers, and thank them for using our auto repair services, some for 10, 20, 30, 40, and 60 years. 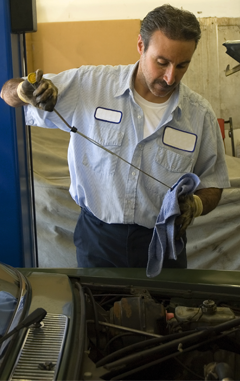 When you need auto body repair and painting or routine auto maintenance, come to Taylormotive for the best service. We offer all of your automotive needs from deals on new tires and oil changes in North Vancouver to collision repair.